I’ve got a confession. I can’t resist free food. It’s a nightmare at work when there are leftover sandwiches from a meeting. Well, nightmare is probably a bit strong - but you know what I mean. Sandwiches aside, this time of year is great for free food, and it’s great for getting the kids out and into nature. I’m so proud of my both my boys (3 & 12 years old). Even though they complain when I drag them out the door on a Saturday morning, it’s not long before they’re running ahead in the woods and shouting out when they’ve found an interesting mushroom. I should say they’re under strict instructions not to pick it unless I’ve identified it! 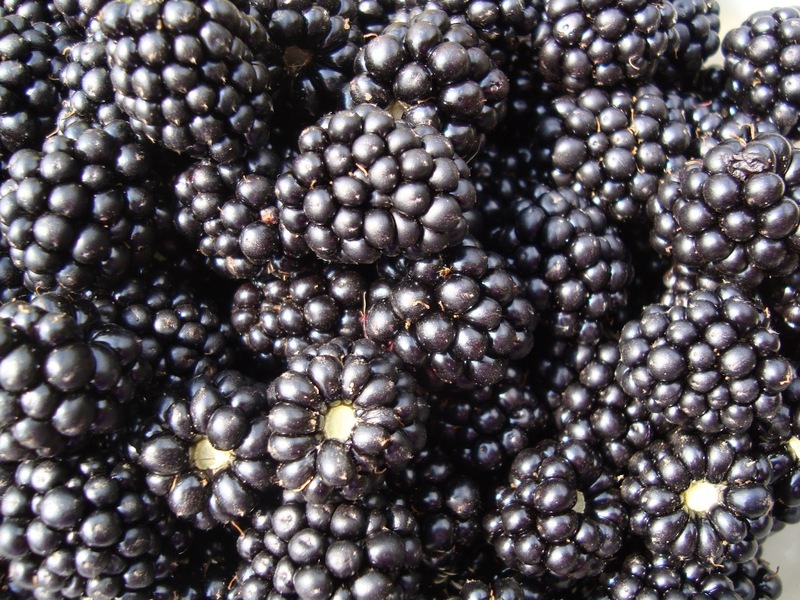 Blackberries are even better, because my boys just need to understand the difference between ripe and unripe berries. Then it’s just matter of giving them plastic bowls and trying not to get stressed about the mess. I have always had fond memories of blackberry picking. As with so many other people, it was my first experience of foraging wild food. For me, this passion for seasonal free food has gradually grown to the point where I now hunt mushrooms and pick nettles (and other foraged greens) to add to our late summer diet. 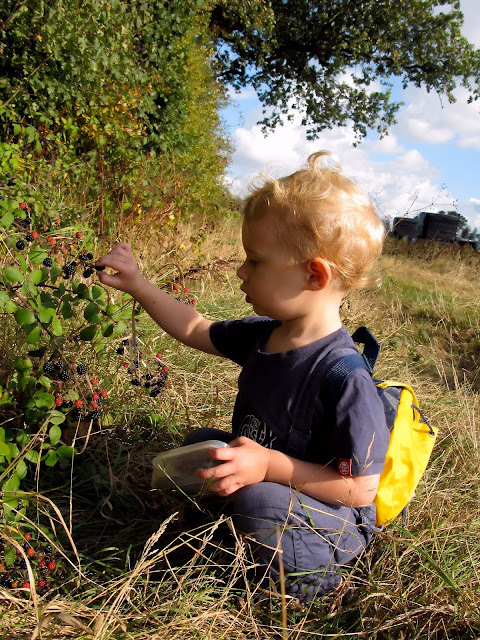 It doesn't matter whether you live in a town or in the country, there are places to go blackberrying. (When I lived in London I found that victorian cemeteries provided the best crops - check out Highgate or Honor Oak). This year the crop seems especially good. It must be something to do with the right mix of warmth and rain, but the blackberries near me are huge great juicy things. The most wonderful thing about foraging is exploring the different recipes and ways to preserve the fruits of your labour. Jam making and pudding baking is a definite must and this year I want to make a jelly rather than jam, since the seeds in blackberries can be a nuisance. My go-to person for blackberry recipes (jams, crumbles etc) is Hugh Fearnley-Whittingstall. His Preserves book is brilliant, however if you don't have any of his recipe books, this Guardian page has a good selection. If however, like my wife, you want to try something in more of the alcoholic beverage area I would absolutely recommend a very simple blackberry gin! 1. On a low heat put the blackberries and sugar in a pan and cook down slowly and gently. Stir often until the fruit has become pulpy and soft and the sugar has dissolved. 2. Pour the gin into a jug and strain the fruit mixture into it. Give it a good stir and then pour the mixture into the sterilised bottles. 3. Distribute to your favourite people as gifts. This gin will last a month so make sure you enjoy it with a classic tonic or with sparkling wine. So make sure you get out there this weekend with some gardening gloves and a couple of big Tupperware containers and pick as many as you can. Remember, you can always freeze what you don't use. The memories you will give to you kids will last a lot longer than the scars. And t-shirts can always be bleached.
" Living Unplugged is about providing you with the tools and the confidence to take back your love of food, without the guilt of dieting. To take pleasure in activity without the soul sapping feeling that exercise is punishment. To experience the sense of accomplishment in creating or mending something rather than clicking ‘add to basket’. We want to inspire you to live a more intentional life. "